My Scoli Rant: Stop the Mistruths! A few months ago, the blog Hollywood Homestead posted one of the best articles I’ve seen about scoliosis and nutrition. I’ve been doing my share of research on the topic and was thrilled to see that someone else came up with the same conclusions I did and presented it so well. I got permission from Sylvie at Hollywood Homestead and posted it on Spiral Spine’s blog. Sylvie had been doing a series on all things scoliosis for some time, as her eldest daughter has scoli. While I didn’t agree on everything she was posting, I was fine with overlooking little comments I didn’t agree with because the overall content was positive. 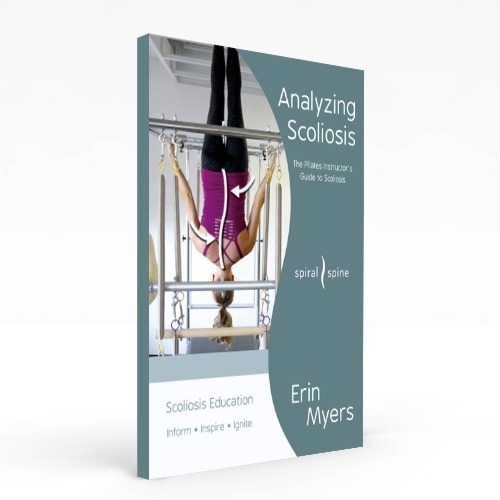 My thoughts changed, however, with her most recent post on exercise for scoliosis. There were just too many things wrong in the post for me to ignore. I posted a very PC comment on her blog nicely defending my position that the majority of what she was preaching was incorrect and interestingly, my comment disappeared (I assume Sylvie deleted it). Now I was mad! I posted another, much more direct comment, and this time the kid gloves were off. This mama bear was out to defend and protect the concept that exercise is the ONLY way to truly live well with scoli. 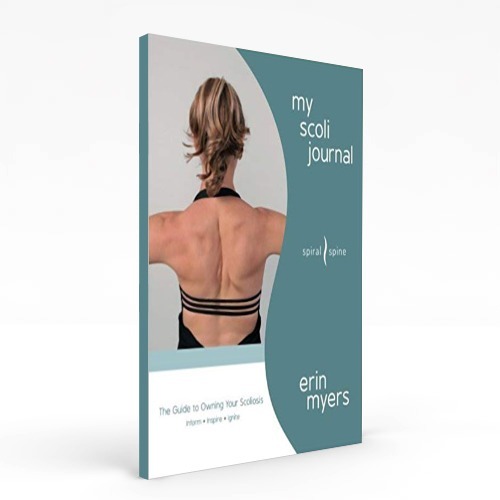 I’ve sifted through years of medical research, have worked on my own scoliotic body and countless scoli clients to see first hand what works and doesn’t. While it seems that Sylvie and I can agree that it is vitally important to make sure you have a skilled practitioner who knows how to work with scoliosis, that may be where our agreements on exercise end. It seems that her daughter’s scoliosis DID indeed benefit from correct movement; she just chose not to do the exercises correctly or with any consistency. She didn’t “own” her scoli. 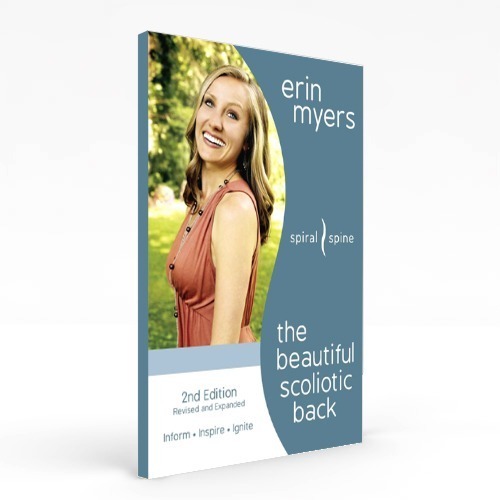 I preach the concept of “owning” your scoliosis in the book, The Beautiful Scoliotic Back. The medical world doesn’t deem exercise to be a viable “fix” for scoliosis because it’s not a magic pill. You can’t do an exercise once and expect your scoliosis to be fixed. It’s something you have to do consistently for the rest of your life. Doctors don’t trust patients to do their homework over the long haul, a point that Sylvie’s daughter proved when she chose not to continue with her exercise. I am not a fan of surgery to treat scoliosis because it doesn’t fix the scoli or take it out of the body. 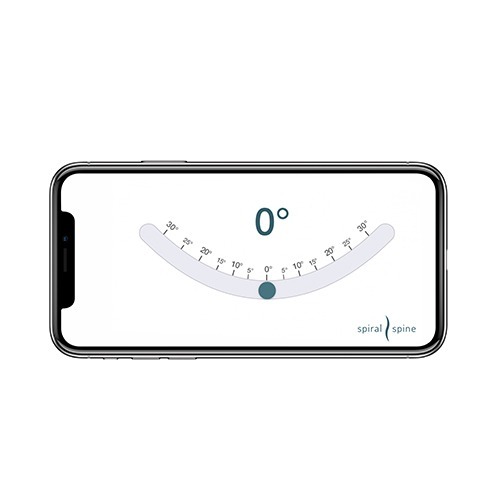 You trade a mobile curved spine for a non-mobile (almost) straight spine. There are also a host of issues that come with choosing to have spinal fusion surgery that most people are unaware of. The most basic issue is the concept of hyper (too much) versus hypo (too little) mobility. When part of the spine has too little movement, the parts of the spine above and below that particular section become too mobile. That’s the case with spinal fusion surgery, except it’s taken to a new level because the fused part is not just hypo mobile, it’s totally IMMOBILE. That was the point of the surgery. So, what happens to the parts of the spine above and below the fused portions? They become WAY TOO mobile. No surgeon is going to require you do mounds of physical therapy and correct Pilates work post–surgery to make your core muscles strong enough to support your few non-fused vertebra. It desperately needs to happen, but it doesn’t. So what happens then? More surgeries happen a few years later to extend the fusion to the now injured discs and vertebra in the hypermobile areas of the spine. Once the spine is fully fused, the surgeries extend to the next closest joints to the spine; shoulder, hip, knee, and the list goes on. Surgery also doesn’t fix the pain many people with scoli live with either. Actually, it usually makes it worse because now you’ve got pieces of metal screwed into your vertebra. In addition, depending on the era in which the surgery was conducted, the rods can rust, freeze and break internally. Surgery is NOT a magic pill like the western medicine world would like you to believe. Scoli has not been taken out of the body. It’s just been made immobile, which actually makes the situation worse because the scoli can no longer be stretched and worked with. This causes many secondary issues to arise in the hips, knees, ankles, shoulders and neck. The scoli hasn’t been taken out of the body, so it snakes to other areas as the bound scoli muscles and fascia continue to extend further away from a spine that can’t be worked or stretched. Since the scoli can never be fully strengthened or stretched again, you’ll be forever chasing secondary issues for the rest of your life. You’re exchanging one problem for another. My surgery clients come to me with so much back pain and I have them roll on every different kind of ball, have them hang and traction out their back, engage their abs without moving their torso and stretch and work their legs like a beast. I can’t do anything else for their back. Most of my fusion clients see an acupuncturist and a myriad of different massage therapists on a WEEKLY basis to move the tissue in their backs and to deal with pain, in addition to seeing me multiple times a week. I have a 24-year-old client that just had her FOURTH surgery to remove the rods in her back because she broke them doing a poor choice of exercise. She came to me after hopelessly realizing that the surgeries had destroyed her body, and she was looking for safe methods of exercise. I asked her to bring her latest op reports from her surgeon with her to our first lesson. Her reports indicated that she’s nine years out from her first surgery and that the muscles around her spine were “devascularized,” meaning they don’t work anymore. Unfortunately, this happens in many people who have back surgery. You are now literally hanging on the rods and screws in your back like a puppet, because your muscles can’t hold you up. Your only saving grace is to find a great practitioner (like a Pilates instructor) who can help you fire your abs without moving your back. Your abs are the only thing left that could help support your torso (and help alleviate some of your back pain). So, back to Hollywood Homestead’s post about exercise. Sylvie pretty much suggested that people with scoli, pre and post-surgery do Crossfit. THAT’S INSANE! You can look forward to a post from Hollywood Homestead in the next few years on how to recover from breaking your rods during exercise. I can’t believe that she is allowing her daughter to do Crossfit. Just that part of the blog alone almost disqualified the entire post for me. Sylvie goes on to discredit Pilates, as she references a source about a woman who had a bad experience. As for the source saying that Pilates wasn’t suitable for people who have scoli, that statement is unequivocally false, and is based on an encounter with an apparently horrible instructor. This instructor let a seven-month, post-pregnant client who just had her third child, come to a group class. RED FLAG. The client in this source’s article then told her instructor about experiencing leg numbness and he did nothing. ANOTHER RED FLAG. Her ruptured disc was most likely because of her EXTREMELY weak abdominals and working her in a posterior pelvic tilt – classic Pilates style. My assessment of this experience? Sounds like the client’s rectus abdominis was split and since she wasn’t required to do private lessons, I’m sure the group classes made it worse. The instructor probably had her lift her head in all the exercises too, which split her abs even more. I’d even go so far as to suggest that she already had a slight disc bulge from having her third baby, and by not taking care of her scoli body, and then working with this poor excuse of a Pilates instructor made it bulge. Regardless of this one experience, I’m absolutely not OK with Sylvie scaring people by telling them that exercise doesn’t work and pretty much advising them to get surgery, like she chose to do for her daughter. “Today, Naomi’s scoliotic regimen is a blend of multiple exercise forms and bodily practitioners: one weekly private lesson focused on GYROTONIC exercises with me, one weekly yoga lesson, one weekly Pilates group class (either Mat or Reformer), a myofascial massage every month… and an acupuncture appointment. Whether you have scoli or not, you need to find wise forms of exercise that make you healthier, more mobile, and more comfortable in your own body. You’ve got to do it regardless of whether you have surgery or not, so take control of your own bodily health now, and avoid the surgery portion altogether. If you’ve already had surgery, the prescription for a more mobile, healthier life remains the same: find a reputable, responsible movement practitioner in your town who can help strengthen your core and what’s left of your spine. 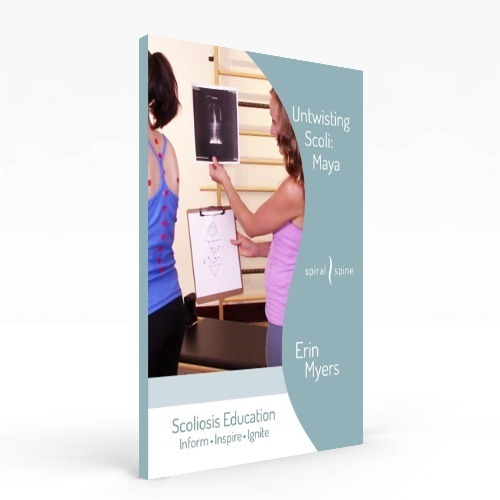 Scoliosis Quiz - How Much Do You Know About Scoli? When do you work with a scoli client?